Join us as we host a discussion with a first responder, a student involved in a school shooting, and a researcher who have come together for one goal: finding a way forward for helping communities heal from the horrors of school violence. For victims of this senseless violence, what happens when the news channels move on? From the peer support perspective, what does healing look like? How can research pave a better way forward for the healing to come? Lisa Hamp, national speaker and safety advocate, is a survivor of the Virginia Tech shooting that took place on April 16, 2007. With her classmates, she built a barricade to prevent the shooter from entering their classroom. She struggled after the shooting and developed an eating disorder to cope. Eight years later, she sought counseling and began her recovery. Today, Lisa speaks and writes about her experience during and after the Virginia Tech shooting to help others. She shares a raw and powerful personal story, as well as lessons learned from Virginia Tech Tragedy, to first responders, psychologists, community leaders, and many others. Her work has been featured in the Washington Post, Huffington Post, Campus Safety Magazine, and the Domestic Preparedness Journal. Lisa has a Bachelor’s degree in Mathematics from Virginia Tech, a Master’s degree in Operations Research from George Mason University, and a Master’s degree in Economics from John Hopkins University. 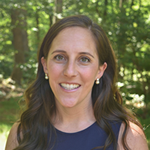 Sarah Lowe is an Assistant Professor in the Department of Psychology at Montclair State University, where she also serves as Director of the Trauma and Resilience Laboratory and the Masters Program in Clinical Psychology, Child and Adolescent Concentration. 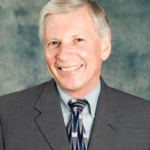 Dr. Lowe’s research interests center broadly on the long-term mental health consequences of traumatic events, the pathways leading from trauma exposure to psychiatric outcomes, and the role of factors at varying ecological levels, from genes to neighborhoods, in shaping outcomes. She has been involved in large-scale investigations of the psychological consequences of natural and technological disasters; epidemiological research on community violence and other traumatic events in urban contexts; and studies of discrimination and emotional wellbeing. In 2017, Dr. Lowe, along with her colleague, Sandro Galea, MD, DrPH, published a review of the research literature on the mental health consequence of mass shootings in the journal Trauma, Violence, and Abuse. She has published over 50 peer-reviewed articles, with other outlets including JAMA Psychiatry, Journal of Abnormal Psychology, Journal of Traumatic Stress, and Social Science and Medicine. Our nation is in the midst of a full-blown mental health crisis, and young people are among those suffering the worst of its effects. Communities must come together to end this crisis. Through early and comprehensive action, we can address the burden of mental illness and the risks to mental wellness at every stage of life. We have the science; we have the evidence-based studies, so what are we waiting for? 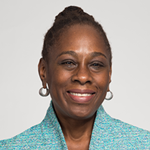 First Lady Chirlane McCray will share how ThriveNYC is helping ensure that children and adolescents grow into healthy and whole adults. From the home to the classroom to after-school activities, there are opportunities to build resilience, prevent mental illness, and practice early intervention. Thrive is helping New York City to seize those opportunities and calling on every adult who works with young people to do their part in the national movement for mental health. Nationally recognized as a powerful champion for mental health reform and dubbed one of TIME Magazine’s 50 Most Influential People in Health Care for 2018, Ms. McCray created ThriveNYC, the most comprehensive mental health plan of any city or state in the nation. She also spearheads the Cities Thrive Coalition, with more than 200 mayors, county officials and thought leaders from all 50 states, advocating for a more integrated and better-funded behavioral health system. A lifelong activist and writer, First Lady McCray continues to fight for gender equity and LGBTQ+ rights, support survivors of gender-based violence and create a more inclusive NYC. She brings her deeply-held commitment to the mental health and well-being of people and communities to everything she does. His work has spanned a variety of mental health services research topics including serving street-dwelling individuals with SMI; epidemiological studies of the need for community services; the effects of differing organizational, financing and service delivery strategies on continuity of care and client outcome and the use of alternative service delivery strategies such as peer counseling and self help on the outcomes of care. Lacy Dicharry, MS, MBA currently serves as a CEO, Coach, & Consultant for LacyDee Consulting, and as Co-Founder of Elevate Young Professionals. 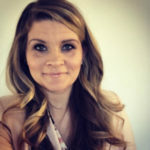 Lacy is a founding board member of Young People in Recovery and currently serves as a board member of Mental Health America and the International Foster Care Organization. Previously, Lacy was a Partner and Change Specialist with Change Matrix, LLC a change management consulting firm. Lacy also served as the Executive Director of Youth MOVE (Motivating Others through Voices of Experience) National, a youth-led, non-profit organization that advocates for and supports youth voice. Lacy is an internationally known expert in youth engagement, and has led several national innovative youth-led programs and helped set standards for youth engagement practice. Over the past 15 years, her work has impacted more than 250,000+ individuals in more than 40+ countries around the world. She was a 2014 VOICE Award winner for her advocacy efforts to promote youth engagement and National Association of Professional Women VIP Woman of the Year in 2016. Each year in the United States, hundreds of thousands of California children and youth are involved in the child welfare, juvenile, and criminal justice systems. A highly disproportionate number of them are youth of color. All too often, once involved, they are removed from their homes and communities and denied the supports and opportunities they need to heal and grow into successful adults. Those removed from their communities have often suffered significant early-life trauma; but instead of responding to their needs, they get placed in put into environments like groups homes, juvenile halls, and prisons that ultimately exacerbate the trauma. Drawing on his own experiences with poverty, abuse, and neglect, Guzman will discuss the myriad of obstacles these youth face, the impact on their development and well-being, as well as what supports can help ease youth transitions to their home communities and adulthood. 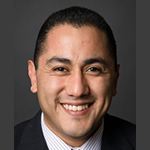 Attorney Frankie Guzman is Director, California Youth Justice Initiative at the National Center for Youth Law. As a juvenile justice attorney, Frankie is working to eliminate the practice of prosecuting and incarcerating children in California’s adult criminal justice system, reducing incarceration and justice system involvement, and increasing developmentally appropriate alternatives in communities for youth in conflict with the law. Raised in a poor, mostly immigrant community plagued by drugs and crime, Frankie experienced his parents’ divorce and his family’s subsequent homelessness at age 3, the life-imprisonment of his 16-year-old brother at age 5 and lost numerous friends to violence. At age 15, he was arrested for armed robbery and, on his first offense, was sentenced to serve 15 years in the California Youth Authority. Released on parole after six years, Frankie attended law school and became an expert in juvenile law and policy. Through partnerships with community organizations and advocacy groups, Guzman has helped lead California’s effort to reduce the number of youth prosecuted as adults and serving time in adult prisons by passing legislation that established Youth Offender Parole Hearings (SB 260, 2013 & SB 261, 2015), reformed Juvenile Transfer Hearings (SB 382, 2015), and eliminated prosecutor’s direct file authority (Prop 57, 2016). In 2018, Frankie worked successfully to eliminate California’s practice of prosecuting 14 and 15 year-olds as adults, prohibit California from arresting and incarcerating children under age 12 in the juvenile system, and secure more than $40 million dollars to expand local youth pre-arrest diversion programs and deliver developmentally-appropriate, culturally-relevant services in underserved communities in California. Over the last decade, the field has increasingly recognized the benefits of partnering with youth and young adults in the design of mental health services research, policies, and practice. However, providers and researchers continually struggle to successfully engage young adults in treatment, services, and research initiatives, especially young adults from disadvantaged backgrounds who are at the highest risk of poor mental health outcomes (e.g. those who are homeless or at risk of being homeless, those not actively engaged in services). “Business as usual” in treatment services and research methods no longer seems to be enough to engage young adults. To successfully engage young adults in mental health services and research initiatives you need to be willing to shake things up by genuinely partnering with young adults to find innovative ways that can alter “business as usual” and lead to more engagement overall. In this plenary, researchers and practitioners from across the country will provide examples of engaging and innovating with young adults in mental health services and research. The importance of innovative communication and dissemination strategies will also be discussed. Kathryn Sabella, Ph.D., is a Research Instructor within Transitions to Adulthood Center for Research (Transitions ACR) in the Systems and Psychosocial Advances Research Center, Department of Psychiatry. The Transitions ACR conducts rigorous research and knowledge translation activities to promote the full participation in socially valued roles of youth and young adults with serious mental health conditions. Kathryn has designed and implemented several research studies of young adults with mental health conditions that inform, develop, or test evidence-based practices to support their various goals. She is currently the principal investigator of a national longitudinal study of young adults with serious mental health conditions, ages 16-25. She has partnered with young adults with lived experience in various ways throughout her career. 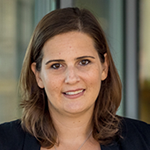 Amanda Costa, BS, is a Project Director at the Transitions to Adulthood Center for Research located at UMass Medical School Department of Psychiatry, Implementation Science and Practice Advances Research Center (iSPARC). Amanda has over eight years of experience providing support on multiple research studies focused on improving the education and employment goals of young adults with lived experience. She also infuses her own lived experience of a mental health condition in her work, serving as Co-Director of the center’s Participatory Action Research (PAR) Initiative, where she educates and trains faculty within UMMS and beyond about partnering with young adults and older adults with mental health conditions in the conduction of research. Amanda is currently pursuing a Master’s in Public Health at UMASS Amherst. Stephanie Sikes-Jones is a young professional with lived experience in Kentucky’s behavioral health and foster care systems. During her time in these systems, she participated in a variety of advisory boards and initiatives to improve human services on a local, state, and national level including Fostering Goodwill, Voices of the Commonwealth, and FosterClub AllStars. In 2015, Stephanie began working with the Healthy Transitions initiative, also known as TAYLRD, in her home state of Kentucky. As an employee, she’s used her voice to make policy changes, develop training, and help support the next generation of young leaders with lived experience in Kentucky. After a short hiatus in National Suicide Prevention work, Stephanie has returned as a State Level Youth Coordinator for the TAYLRD initiative in Kentucky. 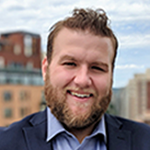 Tyler Clark is a youth peer specialist with lived experience in Kentucky’s behavioral health and the adult justice system. In recovery from substance abuse, Tyler has survived multiple suicide attempts. After going through treatment for his substance abuse Tyler strives to work with youth and young adults in similar situations to what he himself had faced. He began working at the crisis unit at Four Rivers Behavioral Health in Paducah, KY where he was able to speak to those calling the local and international suicide hotline which is where his drive to do more began. After hearing of TAYLRD and the youth drop-in centers he chose to become a youth peer specialist. Tyler is now the lead youth peer specialist at Four Rivers Behavioral Health and assists in multiple programs such as adolescent ACT, adolescent IOP, IHOPE, IMPACT, partial hospitalization and overseeing the youth drop-in center as well as continuing to work at the crisis unit where his passion began. Tyler continues to advance his career through his pursuit of a college education. Dr. Huang will discuss the impact of emerging national, social, political and economic trends on the behavioral health of children and young people. Recent legislation prioritizing a focus on the opioid crisis, serious mental illness and serious emotional disorders, and other challenges to healthy development is potentially altering the landscape for prevention, treatment and services and supports. New federal investments and reconfigurations in service delivery are being positioned to advance behavioral health care for children and youth. Larke Nahme Huang, PhD, a licensed clinical-community psychologist, is a Senior Advisor in the Administrator’s Office of Policy Planning and Innovation at the Substance Abuse and Mental Health Services Administration (SAMHSA) in the U.S. Department of Health and Human Services. In this position, she provides leadership on national policy for mental health and substance use issues for children, adolescents, and families. She is also the Director of SAMHSA’s Office of Behavioral Health Equity which was legislated by the Patient Protection and Affordable Care Act (health reform). In 2009, she did a six months leadership exchange at the Centers for Disease Control and Prevention (CDC) where she was the Senior Advisor on Mental Health. For the past 25 years, Dr. Huang has worked at the interface of practice, research, and policy. She has assumed multiple leadership roles dedicated to improving the lives of children, families, and communities. She has been a community mental health practitioner, a faculty member at the University of California, Berkeley and Georgetown University, and a research director at the American Institutes for Research. She has worked with states and communities to build systems of care for children with serious emotional and behavioral disorders. She has developed programs for underserved, culturally and linguistically diverse populations, evaluated community-based programs and authored books and articles on behavioral health. Recent publications include: Children of Color: Psychological Interventions with Culturally Diverse Youth; Transforming Mental Health Care for Children and Their Families; Advancing Efforts to Improve Children’s Mental Health in America: A Commentary; The Influence of Race and Ethnicity on Psychiatric Diagnoses and Clinical Characteristics of Children and Adolescents in Children’s Service; and Co-Occurring Disorders of Adolescents in Primary Care: Closing the Gaps. In 2003, Dr. Huang served as an appointed Commissioner on the President’s New Freedom Commission on Mental Health. 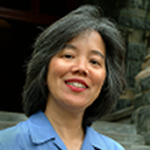 She was a member of the Carter Center Mental Health Board, the APA Committee on Children, Youth and Families, the Advisory Committee for the APA Minority Fellowship Program, and a founding board member of the National Asian American/Pacific Islander Mental Health Association, and the National Alliance of Multi-Ethnic Behavioral Health Associations. Dr. Huang recently received the following honors: The American Psychological Association, Nicholas Hobbs Award for Children’s Mental Health, 2013; Distinguished Contributions to Psychology in the Public Interest, American Psychological Association, 2007; Dr. James Jones Lifetime Achievement Award, APA, 2007; Outstanding Psychologist of the Year, National Alliance of the Mentally Ill (NAMI), 2005; Presidential Citation, APA, 2011 and 2004; Distinguished Contributions Award, Asian American Psychological Association, 2004; Champion for Children’s Mental Health Needs, Federation of Families for Children’s Mental Health, 2003. She received her doctorate from Yale University.